Dr. Veronica Gonzalez meets with a patient who's recently found out she's expecting. 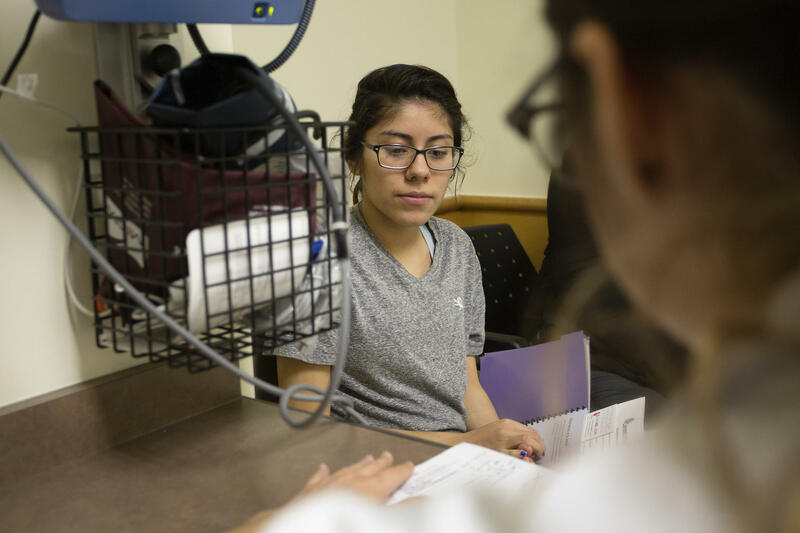 Doctor Veronica Gonzalez works at CommUnityCare in East Austin. She saw a patient recently who had just found out she’s pregnant, and during the exam they ran through a list of questions. 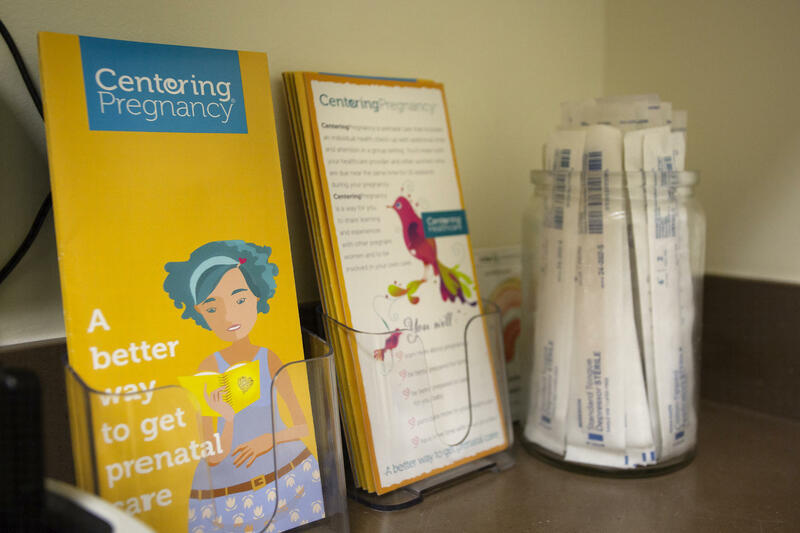 Their whole interaction is part of a redesigned approach to prenatal care that some Travis County clinics are trying in hopes of providing more healthcare to more women earlier in their pregnancies. 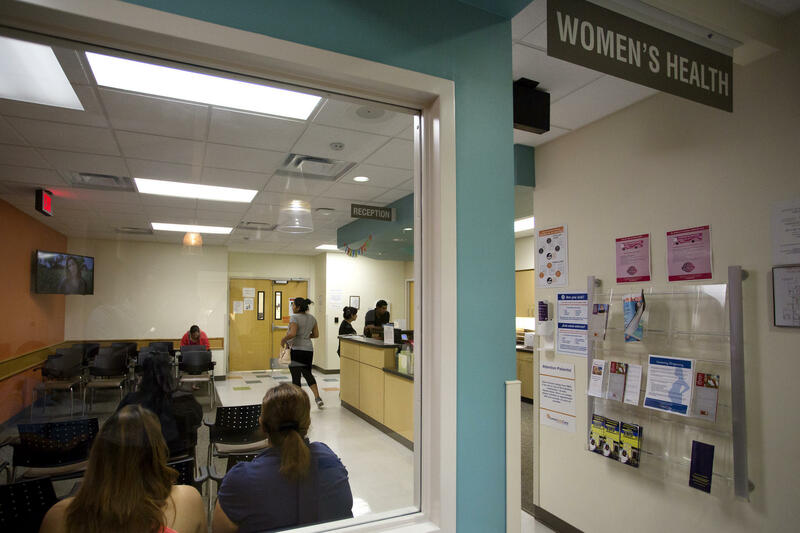 The clinics want to focus particularly on delivering care to uninsured or underinsured women. Doctor Ashley Choucroun, a local OB/GYN and assistant professor at the forthcoming Dell Medical School, says this new model gets women in front of a doctor earlier in their pregnancy. Choucroun says getting women health care sooner solves a lot of problems. For one, it lets doctors identify higher-risk pregnancies earlier. That means for high-risk pregnancies, doctors are able to triage and closely monitor a woman from pretty close to the beginning. And the earlier treatment gives women more opportunities to address some of their more typical concerns about their pregnancies. Back in the exam room, Dr. Gonzalez talked with her patient, who was reporting some bad morning sickness during her early pregnancy stages. “And have you noticed any weight loss?” Gonzalez asked. “I’m going to say, like, five pounds." “Yeah, that’s definitely not the goal during pregnancy. So, we can kind of talk about tips on what you can do to make sure you are getting enough nutrition both for you and for the baby,” Gonzalez said. The goal of all of this is to get better quality health care for under- and uninsured pregnant women who would otherwise have a struggle getting medical attention. Texas has the highest number of uninsured people in the country, and Travis County is not an exception. Although a large number of pregnant women get help through Medicaid, Terri Sabella with CommUnityCare explains there are still many women who do not. The reality for an uninsured woman is that by the time she sees a doctor, she may have been pregnant for a while. Choucroun says sometimes patients will come in with untreated illnesses like diabetes. And, sometimes a lack of health care access in between multiple pregnancies increases the risk level. “We do see a lot of women [with] higher-risk pregnancies, because they fall out of the health care system between pregnancies. This is why community groups, led by Dell Medical School, took on this project. It’s actually the first community collaboration borne out of the voter-approved local investment into Central Health. Besides Dell Medical and Community Care, Seton Healthcare, the Community Care Collaborative and St. David's HealthCare are also part of this redesign. These groups are all trying to find a way to improve the way people get health care, particularly here in Texas where a large number of people don’t have insurance, Sabella says. “It’s a challenging issue. It’s very complex in Texas, and it’s one that is going to require us to be very deliberate and strategic and have wonderful partnerships like the one CommUnityCare does with the medical school. One of the other issues this collaboration is tackling is decentralizing all these prenatal care services. Low-income women used to have to go downtown for a lot of this. But now these services are getting dispersed to clinics farther away from Austin’s urban core. As Austin grows, and its urban center becomes less affordable, members of the project say they are working to make sure they are literally meeting people where they’re at. 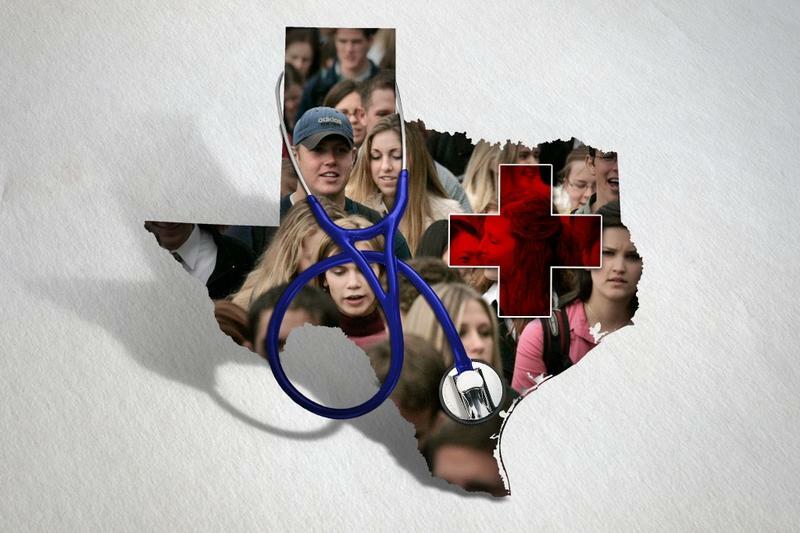 Census Bureau: Texas Has Highest Rate of Uninsured People in U.S.
More people in Texas had health insurance in 2014 than 2013 – the number of insured Texans went up by more than 700,000 people. Still, according to numbers released by the U.S. Census Bureau on Wednesday, Texas had the highest rate of uninsured people in the U.S. in 2014. And now, it has the highest number of uninsured people, too.